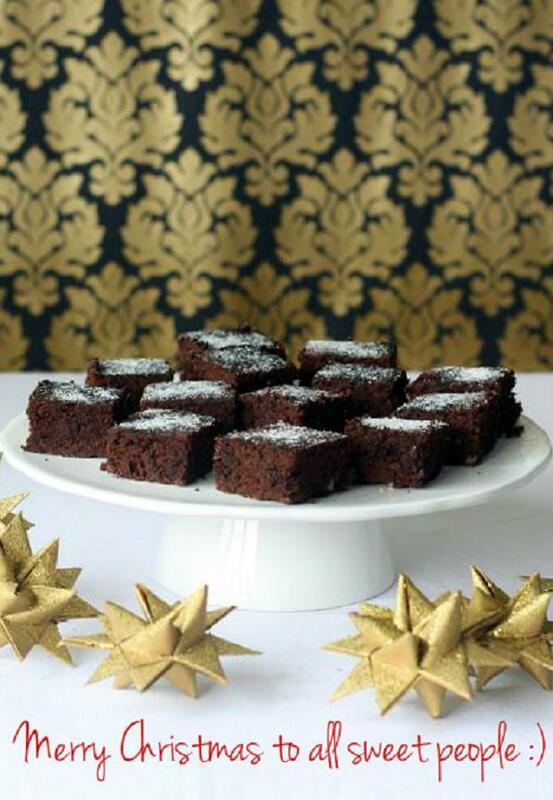 Chocolate brownie with surprising and not very typical in baking ingredient - black beans. I read about using pulses in brownies a long time ago but it took me a while to convinced myself to try it. No regrets! Brownie is really chocolatey, smooth and gooey inside. You would never guess there were beans used as a main ingredient. Carbohydrate and calories content is quite low so a big 'thumbs up" for this cake. Preheat the oven to 170 C. Grease a 23 cm by 23 cm square baking tin. In a blender, puree the beans with the oil. Add the eggs, cocoa, xylitol, splenda, coffee, and vanilla. Melt the chocolate in a bowl over simmering water and add to the blender. Blend on medium-high until smooth. In a small bowl, whisk together the ground almond, baking powder, and salt. Add to the blender and pulse until just incorporated. Pour into the prepared tin and bake for about 20 minutes. Let it cool down and decorate with powdered xylitol. I would buy your book as well. You are amazing!